Alarmist cries of rapid sea level rise and extreme weather events, resulting in Pacific islanders losing their homes are completely unsubstantiated by empirical evidence, real-world data and peer-reviewed science. South Pacific Islands are not sinking. Claims that they are, due to human-driven sea level rise, are scientifically false, and therefore opportunistic. The purported plight of The Marshall Islands, Kiribati, Tuvalu and other Pacific Island nations, serve merely as emotional arguments to promote big Government and the global climate agenda for centralised economic and energy control. Whilst less organised and cash-strapped Pacific Island nations use the associated climate guilt as a vehicle to pursue compensation ($100 Billion UN Climate fund) to be paid for by Western nations. Economic outcomes in line with the United Nations’ wealth redistribution agenda. 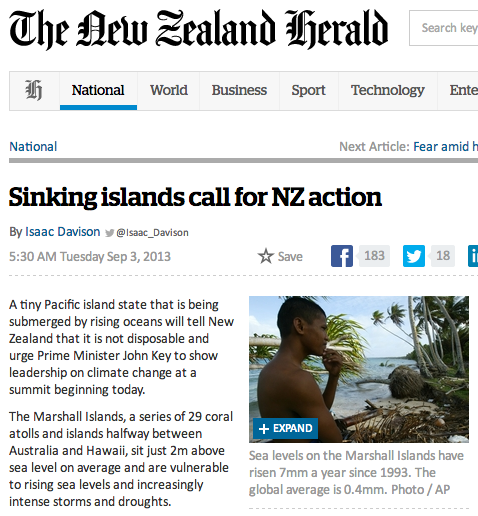 Global warming activists in Oxfam and Fairfax newspapers re completely impervious to scientific evidence. Tony Abbott faces a cool reception when he flies to Port Moresby this week from Pacific Island leaders who say global inaction on climate change threatens their existence. 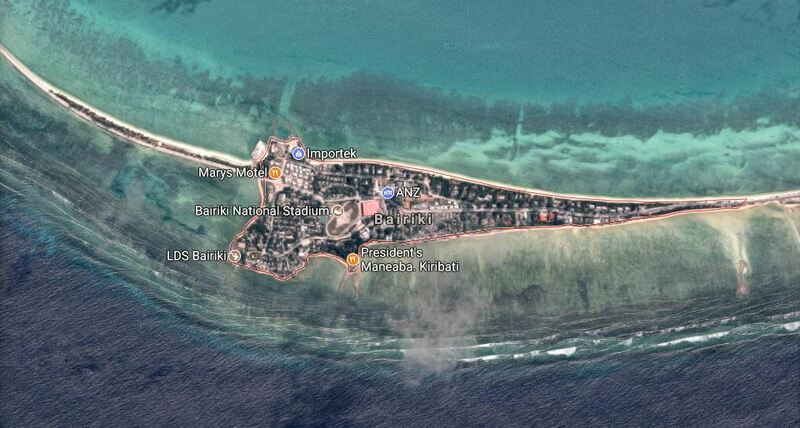 The report accuses the two governments of failing to respond to the “wake-up call” of Cyclone Pam’s devastation of Vanuatu six months ago and catastrophic flooding in Kiribati and Tuvalu earlier this year.